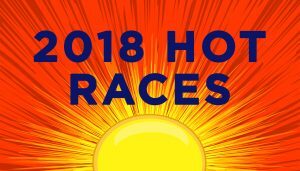 All 2018 Labor Endorsements for state, federal, and local races can be found HERE. PROPOSITION 5 | Changes Requirements for Home Owners to Transfer Property Tax. Recommend: Vote NO. PROPOSITION 6 | Eliminates Road Repair and Transportation Funding. Recommend: Vote NO. Click Here for more information on Prop. 6. 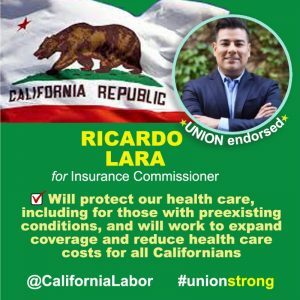 Prop 6 Informational Flyer for Download Here. PROPOSITION 8 | Authorizes Regulation of Dialysis Clinics. Limits Charges. Recommend: Vote YES. Click Here for more information on Prop. 11. 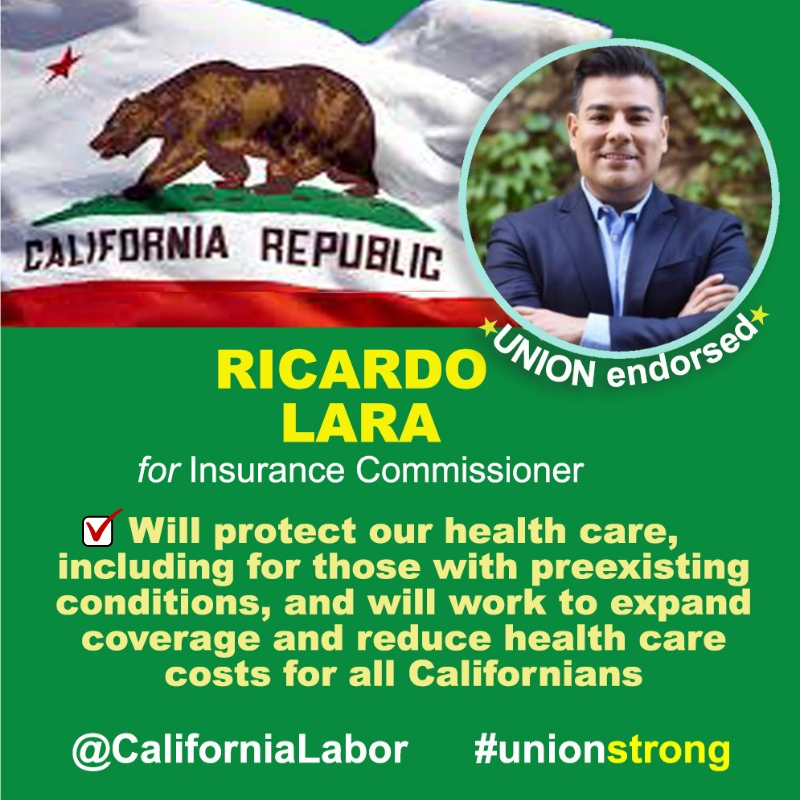 Prop 11 Informational Flyer for Download Here. 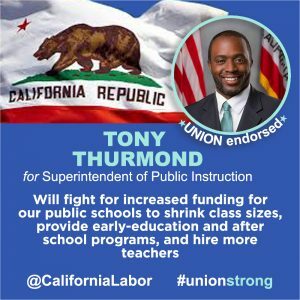 TONY THURMOND for Superintendent of Public Instruction. 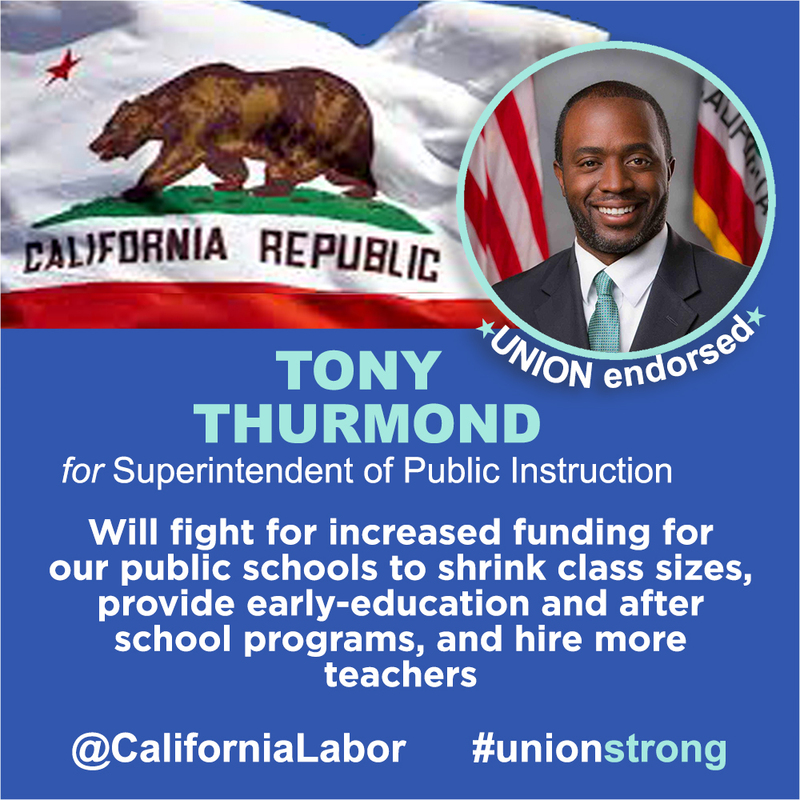 The clear choice for students, teachers and families. Read our blog post here. Download the Flyer Here.